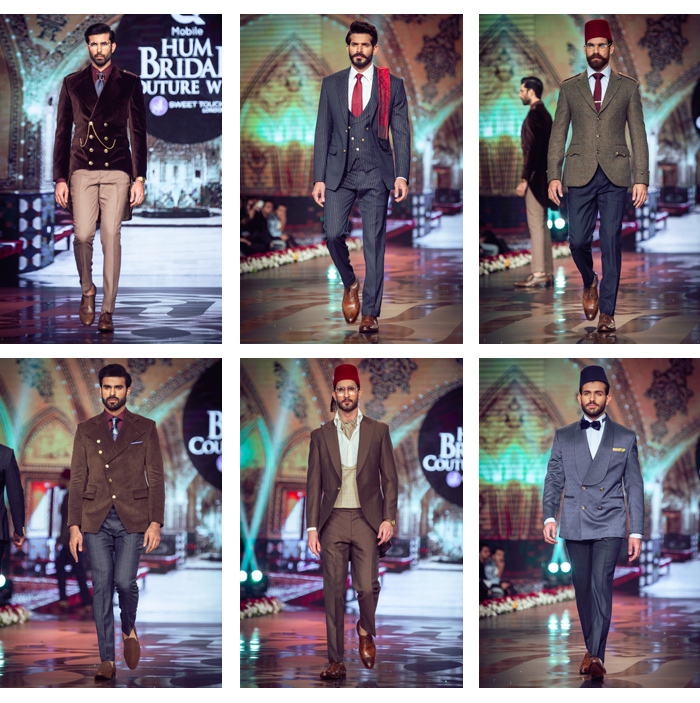 While the recent Bridal Couture Week 2016 in Pakistan showcased a flurry of stunning bridalwear and jewellery, one of the highlights of the event came from Birmingham-based designer Ziggi Menswear. Models dressed in masterful tailoring strode down the catwalk in a collection that brought together the best of Asian and British design. Split into two distinct looks, the first wave of models showcased an English country vibe with lots of velvet, tweed, check and pinstripe. Round framed glasses, retro bow ties and pocket watches gave the boys a vintage vibe – think colonial Egyptian scholar/ aristocrat. It was all very gentlemanly, very old school. We think it’s the perfect elegant ensemble for the civil ceremony. 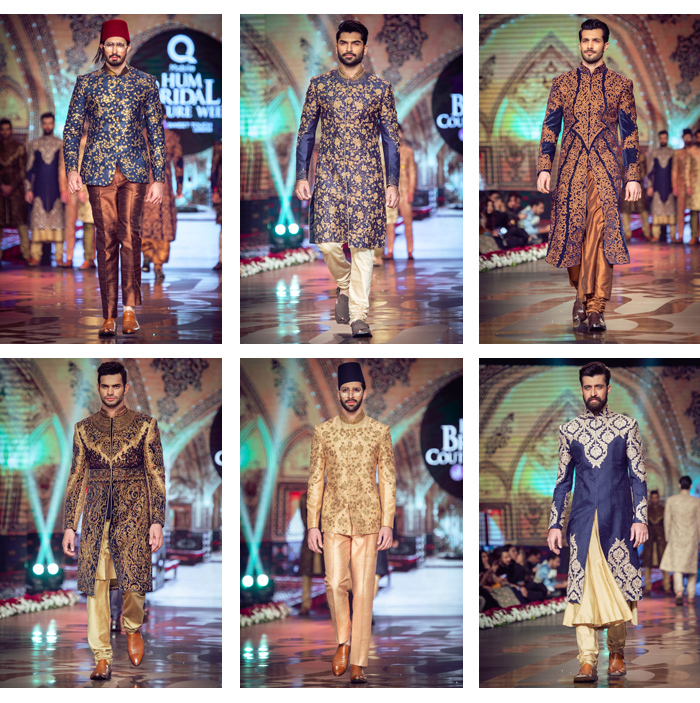 Next came the fusion looks, sherwanis and Asian tailoring. Navy and burnished metallic featured heavily, with the boxy silhouettes softened by floral embroidery. 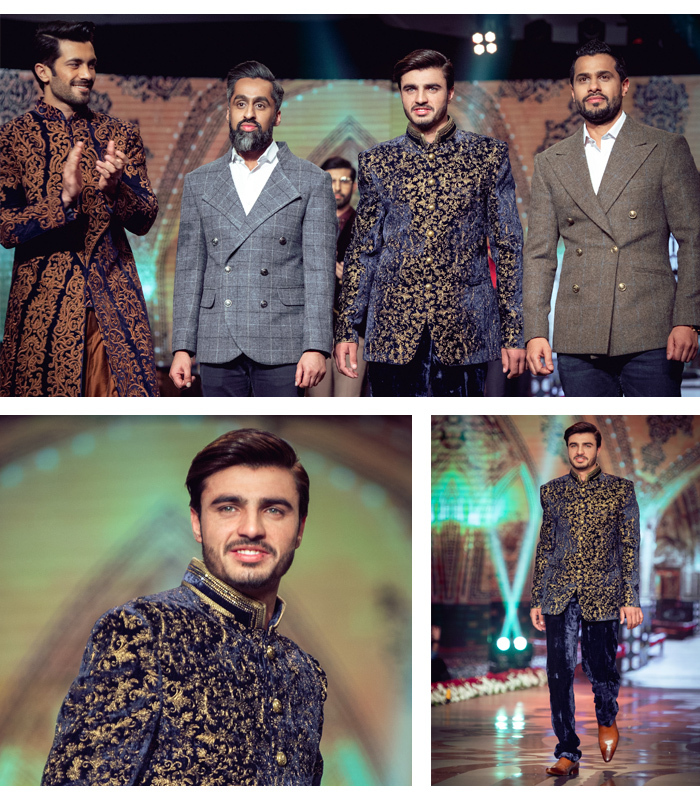 Closing the show was internet sensation Arshad Khan, who you might know better as chaiwala. He's the latest addition to join the elite ranks of male models after finding fame when a chance snapshot of his good looks went viral. Handsome in a gold and navy jacket with crushed velvet trousers, the 18-year old accompanied the British designers down the catwalk to rapturous applause for the finale. Find out what he had to say about the show here. Love the look? Explore the world of Ziggi Menswear here. All photos courtesy of Rafyl Photography.